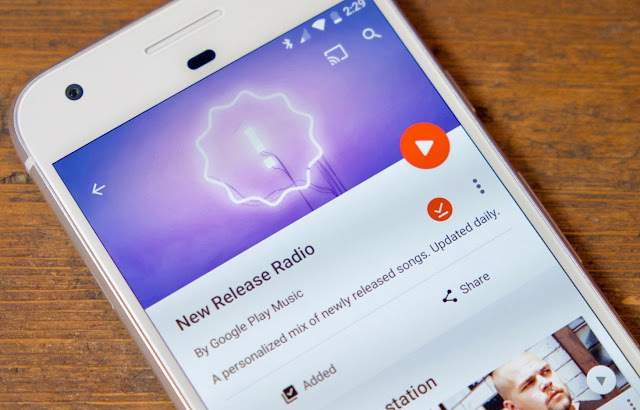 Google has recently launched a new radio in Google Play Music that is exclusive to Samsung smartphones, but fortunately it isn't too difficult to hear it on any other smartphone. The relationship between Google and Samsung isn't alway the best (just look at Samsung's insistence on using Tizen) but with the arrival of the Galaxy S8 Samsung agreed on partnering with Google and using Google Play Music as its default music app (instead of using one of its own apps, as it's so fond of) - in exchange, Google had to sweeten the deal by promising some exclusive features for Samsung devices. Navigate to New Release Radio on Google Play Music from your desktop. Open the Google Play Music app on your mobile device. Slide the left-side sidebar out and click on Music Library. Click on the Stations tab, and New Release Radio will be among your list of favorite stations. Click the Play button on the New Release Radio station.